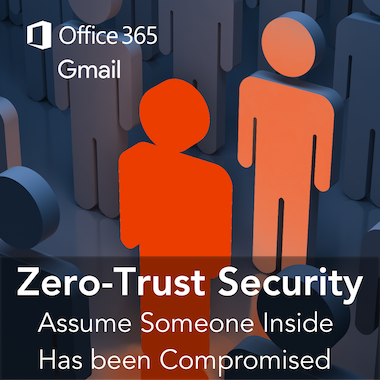 Like many security-conscious companies today, this Mid-Atlantic-based consulting firm agreed to share its experience in securing Office 365 under terms of total anonymity. The name of the individual cited within has been changed for this article and this document was reviewed and approved by the firm prior to publication. With a rich history, this firm provides market research and consulting for some of the largest companies in the U.S. The company relies heaviliy on market data and advanced methods of analysis to advise its clients on highly strategic marketplace decisions. “I really like that Avanan allows these checks to happen in parallel – I don’t have to wait for Check Point Antivirus to finish before the next product does its checks, as these happen all at the same time, which means it’s very fast, and it’s all completely seamless to users, with absolutely no latency,” Jim reflected. “I was thrilled when I found out that Avanan was affordable and easy to set up and use. I also like that it’s been fairly invisible to my users. It’s been no hassle for them at all and has had absolutely no interference to their work whatsoever,” said Jim.